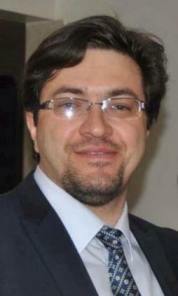 Vahid Garousi is an Associate Professor of Software Engineering in Hacettepe University in Ankara, Turkey. He served as an Associate Professor of Software Engineering in the University of Calgary, Canada from 2006 until 2014. Vahid completed his PhD in Software Engineering in Carleton University, Canada, in 2006, his MSc in the University of Waterloo, Canada, in 2003 and his BSc degree in Sharif University of Technology in Iran in 2000. He is a practicing software engineering consultant and coach, and has provided consultancy and corporate training services in Canada and Turkey in the areas of software testing and quality assurance, model-driven development, and software maintenance. During his career, Vahid has been active in initiating a number of major R&D software testing and software engineering projects in Canada and Turkey. He has been involved as an organizing or program committee member in many international conference, such as ICST, ICSP, CSEE&T, MoDELS and the Turkish National Software Engineering Conference. He is a member of the IEEE and the IEEE Computer Society, and is also a licensed professional engineer (PEng) in the Canadian province of Alberta. He has been selected a Distinguished Visitor (speaker) for the IEEE Computer Society’s Distinguished Visitors Program (DVP) for. Among his awards is the prestigious Alberta Ingenuity New Faculty Award in June 2007.